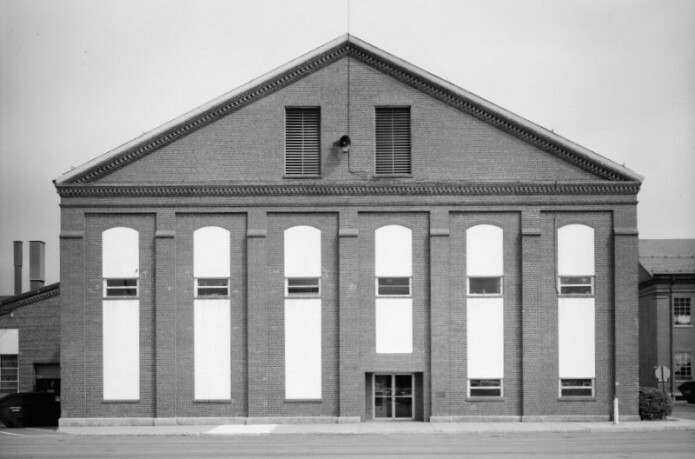 For over 80 years, Building 60 served as the central source of power and heat to buildings across the Arsenal. The oldest part of the building was constructed in 1913. 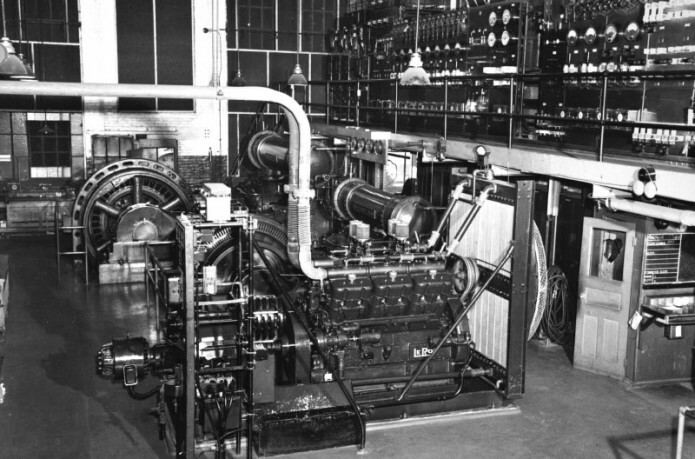 Steam engines on the upper level produced electricity. Three boilers on the lower level generated steam for heat and to power large steam hammers in the smith shop. 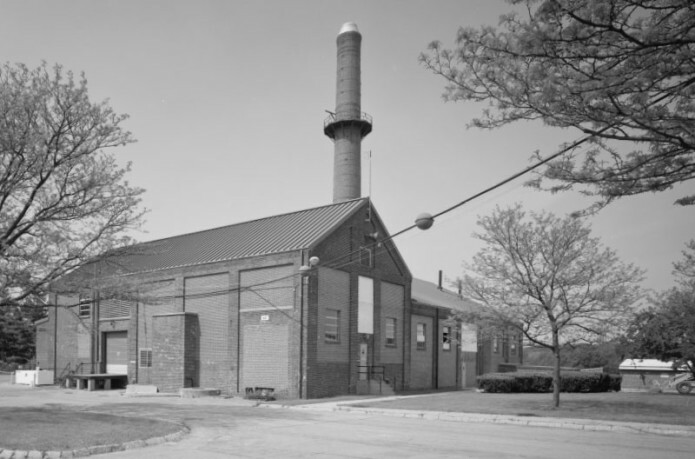 A 150-foot smokestack carried the smoke and ash from the coal-fired furnaces. 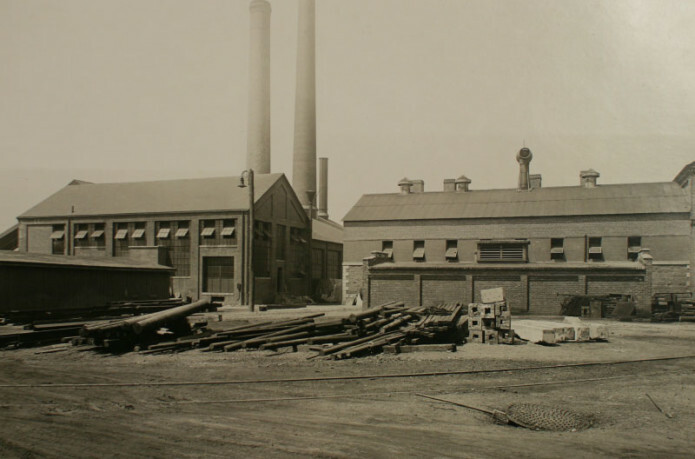 Cheaper electricity rates led the Arsenal to shut down its electric power production in 1919. 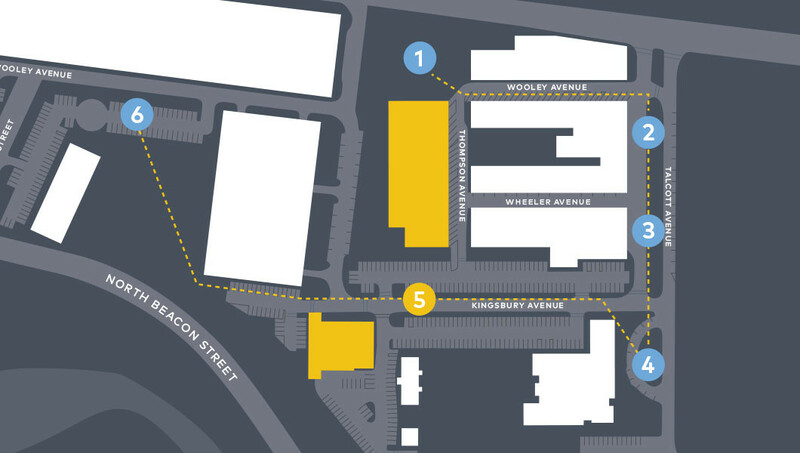 At the start of WWII, a second 150-foot chimney was built next to the building, which still stands today. 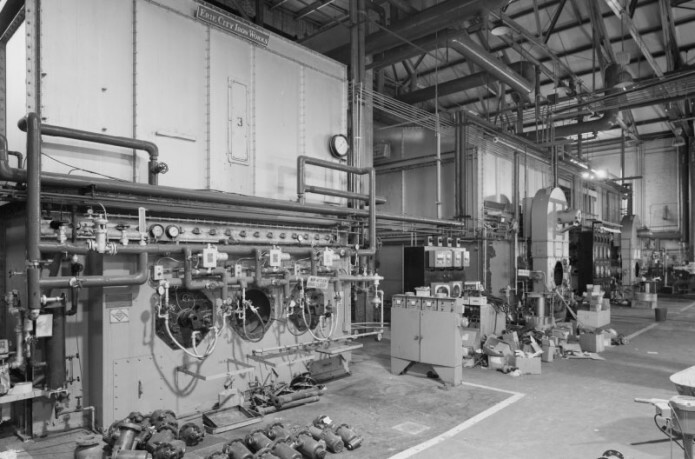 In 1953, the original chimney was taken down, and six boilers were replaced with three more efficient models. 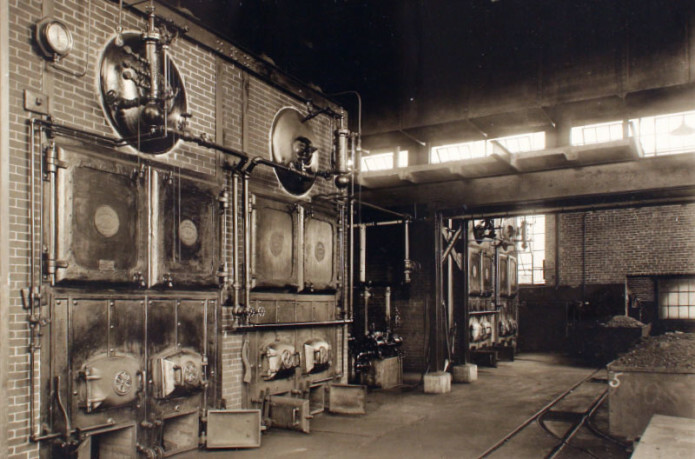 Building 60 supplied steam heat to buildings on the Arsenal until 1994.